..."Happiness is a warm puppy," and now-- even if you don't have a warm puppy of your own, you too have a shot at experiencing happiness! 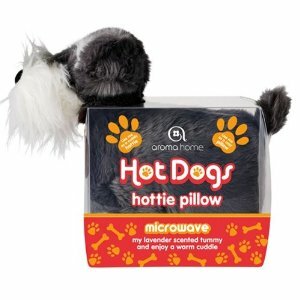 Even though we already have a squirmy, trouble-making pup of our own, we dig these Hot Dogs microwaveable pillows-- after all, real, live puppies don't always want to cuddle when you do. These pillows unfold to 4.5" x 10" x 11", and are lightly scented with lavender (or so we've heard). 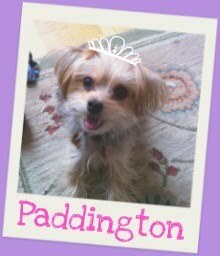 Point of this story: they're the perfect backup in case your dog, like Paddington frequently does, has scheduled conflicting plans for snuggle time. 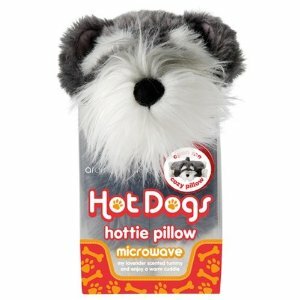 If Schnauzers aren't your thing, there are a variety of brands available (we've seen Yellow Labs and Cocker Spaniels). Pick yours up from Amazon.com for $26. p.s. How cute is the packaging? Have a Heart. Donate a Bed This Valentine's Day. Fact: Stuff in the city is expensive.